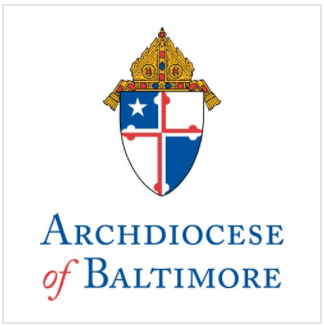 Cardinal William H. Keeler, Archbishop of Baltimore, will visit with students at School of the Incarnation, located at 2601 Symphony Lane in Gambrills (Anne Arundel County), on Wednesday, January 31 at 10:30 a.m. in honor of Catholic Schools Week. During his visit with students and faculty at the school, a group of sixth grade students currently learning the Italian language will sing Ave Maria to the Cardinal in Italian. This year’s nationwide theme of Catholic Schools Week is, “Catholic Schools: The Good News in Education.” The week runs from Jan. 28 to Feb. 3 in Catholic schools throughout the nation and was launched 33 years ago. The purpose of Catholic Schools Week is to build support and recognition for the almost 8,000 Catholic schools nationwide. During this week, many dioceses encourage parents to enroll their children in Catholic schools. Catholic Schools Week also is an opportunity to interest citizens in volunteering their time and talents to local Catholic schools. There are 85 schools serving 35,102 students in the Archdiocese of Baltimore, which consists of Baltimore City and the following counties: Allegany, Anne Arundel, Baltimore, Carroll, Frederick, Harford, Howard, and Washington. The average class size is 25 students; 97 percent of students graduate from high school; 95 percent of students attend college; 100 percent of schools participate in community outreach; 89 percent of students participate in extracurricular activities. For a list of activities and events planned for Catholic Schools Week 2007, please click here or log onto www.archbalt.org.